I installed an Ubiquiti SR71-12 minipci card on my Laguna GW 2388, but it is recognized as "RaLink Rt3352" and doesn't work very well (poor rx sensitivity and low signal, blocked in OpenWrt to 20 dBm). Ubiquiti SR71-15 is recognized ok. 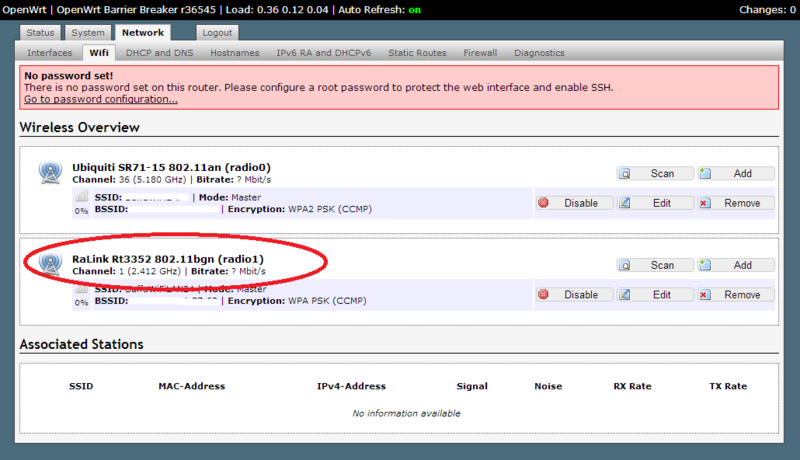 I attached an image of what OpenWrt GUI says. At the moment I cannot produce a serial log because I have the issue on a production scenario and so I had to replace SR71 with and XR2. cardissue.png​ (53.1 KB) - added by d.buffa@… 5 years ago.